Helping YOU to Write Right! Our online editing services offer Christian authors, pastors and individuals who want to share their writing with the world, their congregation or the next generation the help they need in editing or proofreading their work before publishing. Your passion is to share your spiritual insights and life-changing inspirations. Ours is to provide you with error-free and easy-to-read copy. We provide professional book editing and short copy editing with affordable pricing. Christian Editing Services offers several levels of service, completely suited to your needs, whether you’re writing an important letter to your ministry supporters, creating website content for your Christian organization, publishing a book, posting an invitation or writing an article for a magazine. We carefully proofread your message for grammar, spelling, punctuation, consistency, missing words and redundancies to ensure that the message you wish to communicate is correct and clear. Click Christian Editing Services to see the levels of service available. “Doris and her team did an exceptional job editing my first book! Not only was she professional but she suggested things I had not even considered. I look forward to using Doris and her team again! Book Manuscripts – Our book editing services have proven to be invaluable to several new Christian authors recently. Whether you’re writing your first book or you’ve published dozens of them, book editing and proofreading is a must! Contact book editors at Christian Editing Services for the best pricing and excellent service. They will weed out grammar errors, punctuation problems, typos, inconsistencies and smooth out awkward wording. Website content – Your website is your professional showcase. We offer online editing services to make sure that the text on your site is error-free, clear and easy to understand. We also make sure that the links on your website actually work as intended. Articles – Articles are usually written very quickly, especially news for inclusion in daily newspapers and online e-magazines. 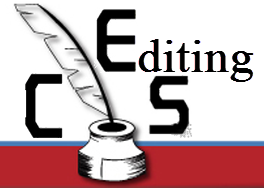 Freelance editors at Christian Editing Services can help you to improve and even shorten your articles for publication. Newsletters and Correspondence – Let our online editing service providers do a final read-through to catch any typos that may have been missed out by the author or other proofreaders. Mass e-mails – Have you ever wanted to “call back” an e-mail that you just sent to hundreds or thousands of people because you noticed an error just after hitting “send”? Let Christian Editing Services catch them for you before they go viral. We can even test your links for you if you use them in your e-mails. Brochures – When promoting your business or organization, you need to look professional. Errors on your advertising can be avoided by sending your proofs to us for quick and thorough proofreading services. User Guides and Manuals – Doris Schuster, Chief Editor of Christian Editing Services, has been working with user guides and manuals of all types for over 30 years. Her precision in both French and English editing and proofreading is highly valued by her long-standing and more recent customers. Contact Doris for professional editing services. Office Administration Documents – How many forms and reports are filled out by job seekers, employees, clients, contractors and sales professionals every day? Our proofreading services can help ensure that your online forms and printed forms are error-free. 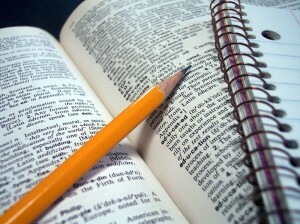 Research Papers, Dissertations, Essays and Teachings – Our freelance editors are perfectionists. We want you to look good on paper, so we will go through your research papers, dissertations, essays and teachings with a fine-toothed comb to catch any typos, inconsistent or incorrect references and any other writing issues. Our dissertation and essay editing services are at your disposal at very reasonable costs. Christian Editing Services Video Site – click here! Christian Editing Services on Answers.com – coming soon! Christian Editing Services – Helping YOU to Write Right!